When I first started hiring staff for camp back in the 90’s, the process was in some ways much simpler. The internet was relatively new. Our camp didn’t even have a website by first year and even CampStaff was still a few years away. Recruiting staff meant running a 3 sentence classified ad in a school newspaper or in the old American Camping Association publications. I’d wait for the 800 number to ring or get a postcard in the mail asking for more information. We would mail a VHS tape specially made for staff recruiting along with an application and camp brochure. Then we would wait. By the time a completed application was back in our office, both sides were well invested in the hiring process. Rarely did someone receiving a job offer not accept or even more rare, break their commitment by not showing up. Ghosting meant something totally different in the 90’s! Even so, when opening day of camp got near, any unfilled positions could quickly be staffed from the bullpen of waiting international counselors at CampAmerica or Bunac or the other international staffing agencies. No problem, camp would open fully staffed. Fast forward to now and camp staffing has changed drastically. It is much easier for potential staff to apply to multiple camps and even to other industries, making the competition for top staff the stiffest its ever been. Throw in the past changes to J-1 rules that eliminated stand-by international staff (much less any future changes to the program) and the importance of getting new staff to commit early and follow through with those commitments is more vital to summer camp opening than ever. 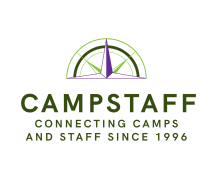 The two of biggest challenges we hear from camp staffing directors today are that potential staff are harder to maintain contact with and seem less likely to honor their commitments once hired. Use the relationships developed with those staff to improve the chances the recruit remained committed. Camp staff recruits, just like athletic recruits, are bombarded by not only you and the camps you are competing with, but also everyday electronic life. The background noise of college life is pretty loud. When as a staffing director, you are trying to juggle staff inquiries, incoming applications, targeted searches on CampStaff and maintaining personal contacts with new hires, it can be overwhelming and down right impossible. You are the head coach here, to break through and make sure your message is heard, we suggest assigning your new staff recruits a returning staff point of contact. Here’s the scenario, you’ve offered a contract or had one accepted on the spot. Now you need to make sure that person follows through with the hiring process and shows up at camp. A personal connection with your retaining staff is a tried and true recruiting method. We always assume that everyone is a potential staff member until they actual show top for staff training and become a staff member! 1. Match each situation individually. Camps have the unique opportunity with a diverse staff to make personal connections. Use that! Pick your recruiter regionally, by common interest, by specialty skills- anything that can make the connection personal. 2. Provide a contact schedule. First, this holds your recruiters accountable. Second, it takes the pressure off (and avoids too much pressure) from over contact. Back in the days of Manila file folders for applicants, I kept track of every contact date on the front of the folder. This helped remind me to touch base so no one got lost in the hiring flurry that is May. a. Day 1 – email a quick intro to the potential staff member. Include your social media handles and encourage the recruit to check out and pics you posted from last summer. Schedule a time to connect via phone. Cc camp on first email. b. After call, follow recruits social feeds. d. Drop a text, email or comment on a social media post every week. Money is always best. Swag is second. Either way, show that you value your returning staff’s time and effort. If you or your board is having trouble justifying the added cost, compare the cost of a last minute international hire for that position through an agency and the time delay getting that person into camp when someone you hired in February ghosts you opening day. If you still need further convincing…The bonus for your staff training week is that every new staff member will already have a connection when they roll into camp. We all know that those personal connections are what get staff to return the following season.